The role of today’s CFO extends way beyond the mandate of traditional financial management into more strategic areas of business. The new responsibilities make it crucial for CFOs to have meaningful data at their fingertips to support and develop strategic business initiatives. However, the problem is with getting the right data, in the right format and at the right time. Traditional MIS systems especially those used for revenue and expense reporting, are saddled with inaccuracy, inconsistency, and unmanageable complexity. The way the data is collected, stored, compiled and presented to CFOs makes it unfit for analysis and decision making. For department heads and finance teams, data management is an arduous and time-consuming process. Why is this the case? 1. The data extracted from the traditional MIS systems is aggregate data. In any organisation, department or product heads are given budgets at the start of every month or quarter and their performance is gauged against this budget. To view their individual performance against budgets, department heads resort to the canned reports from the General Ledger (GL) generated by the finance teams. They view the report data, look for variances, and take corrective measures to eliminate cost overruns and maximise budget efficiency. Seems pretty straightforward till this point, doesn’t it? Well, it’s not, especially when there are deviations in data. Aggregate data is not enough to understand the root cause of budget deviations. The GL reports show aggregate data for spends vs. budget. This data output has none of the rich transactional details that are necessary for investigating the root causes that trigger a budget deviation or an unexpected increase in a particular expense category. In this case, the departmental managers go back to the finance teams for the underlying details behind the GL data — the individual transactions that caused them to exceed their budget. This triggers a spurt of activity within the finance department causing workload to shoot up immediately during the month or quarter end. Also Read How Does India's AI Strategy Fare Vis-à-Vis Its US Counterpart? The finance departments run additional reports to find out the required information for managers. The process doesn’t stop there. The departmental heads often have questions on the new reports generated. Once they receive the answers, they have follow-up questions and the cycle continues. It sometimes takes weeks for the issue to get resolved satisfactorily from both ends. 2. The data is stored in multiple systems managed by different teams. The GL summary report contains transactional data that is extracted from different systems like HRM & Payroll, Accounts Payable and Inventory Management – each of them managed by different teams. People other than finance also gets tasked with requests for data extracts. This makes the entire process even more complex and time-consuming. No wonder it takes weeks on end to solve one issue. 3. The data does not facilitate easy comparison of different departments or cost centres. The reports generated by the finance department for comparison are income statements and balance sheets. They show profits,/losses and performance vs. budget for an individual manager, department or product and are definitely useful. But imagine a Director who has 15 Managers reporting to him – he must view 15 individual reports. And to compare the performance of all managers together, he and his team have to do a fair amount of spreadsheet work. Teams have to manually copy, paste and transpose rows into columns to compile the data together. Ideally, the GL should be able to generate these reports without putting the directors through this manual and error-prone process. So what is the way out for CFOs and finance teams? One way is to replace their current GL system with the latest ERP or accounting software. However, this might involve substantial cost and resource commitment. A smarter way out is to adopt self-service, business intelligence (BI) systems that give CFOs the analytics they need while leaving their existing GL in place. 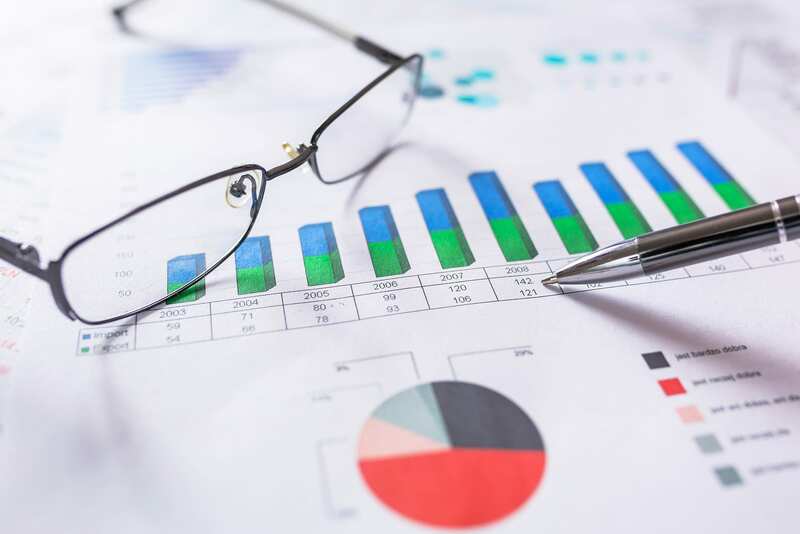 Consistent, secure and error free reports: Rather than generate aggregate reports, BI solutions help finance teams generate role-specific reports. Such reports enable managers to easily view revenues and spends of their direct reportees or their area of responsibility. Finance teams can enable managers to view these reports via web-based dashboards rather than sending the reports via email in the form of spreadsheets. Emailing reports can expose the company’s financial data to unauthorised individuals. Spreadsheets can be easily altered and the resulting conflicting data takes weeks to investigate and reconcile. BI systems help managers view the reports they need in the most secure environment. BI systems also help finance teams automate the data reporting process. Finance representatives can set rules and alerts within the system to notify managers of budget overruns and help them take action immediately. All data on one system: BI systems easily integrate with other systems like accounts payables, inventory management and payroll. Such integrations help finance teams to map GL codes with transactional data, invoices, purchase orders, etc. What was initially stored in a maze of spreadsheets can not be bought onto the same platform and viewed together with a click of a button. Easy comparison: BI tools make comparisons across departments, across different data types and across different users easier to access as well as to visualize. In other words, no more headaches and switching between spreadsheets, while reviewing employee or department performance. Apart from addressing the key gaps of traditional MIS, BI systems help finance teams gain a lot more. Centralised visibility and accountability: Since Departmental managers can easily identify budget variances and the underlying reasons behind them, they can manage expenses in a better way. They can spend more time understanding what triggers budget overruns rather than running behind finance teams asking for details behind the aggregate summaries. They also have centralised visibility over all data and can take decisions in a prompt and efficient manner. More efficient work allocation: A significant amount of time and effort of finance teams goes into back tracking bugs, errors and outliers in the data and reporting them back to the department who pointed them out. BI tools eliminate these low-value, cumbersome tasks allowing finance to focus on core job responsibilities such as identifying new revenue generating opportunities or mitigating risks. Powerful feedback tool: BI systems can serve as a good coaching and feedback tools for management since they facilitate easy peer-to-peer comparisons. With access to the comparison data, VPs and directors can evaluate performance of different managers, understand why certain managers are able to meet budgets and help the ones who don’t create more realistic budgets and decrease their budget overruns. As big data and analytics become a priority, CFOs have to be prepared to take strides forward and bag the best business intelligence systems for their companies. 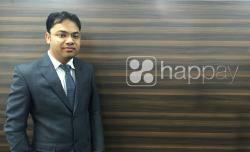 Anshul Rai is CEO & Co-founder of Happay, India’s leading Bangalore based fin-tech start-up that offers expense management solution for businesses.